The qualities that make wine so enjoyable are achieved through the expertise of viticulturists and winemakers, whose decision-making in the vineyard and winery is underpinned by science. 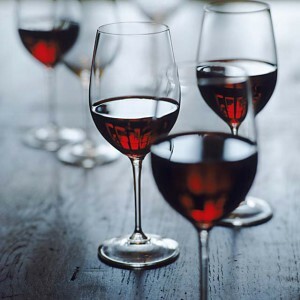 Wine101x: World of Wine: From Grape to Glass is your chance to find out more about the science of winemaking and how it affects our enjoyment of it. In a matter of weeks this course will give you a broad understanding of the principles and practices used to grow grapes and make wine, and their impact on wine appearance, aroma, flavour and taste. You’ll also gain an appreciation for how cutting-edge research is helping to secure the future sustainability of the global wine industry. Whether you’re a wine novice or a seasoned oenophile, this course is for anyone who loves wine and wine tasting. You’ll even get to make your own wine– virtually at least! Developed by The University of Adelaide’s School of Agriculture, Food & Wine and delivered worldwide via the online edX platform, the Massive Open Online Course (MOOC) was first launched in April 2015. Since then, it has had some 50,000 participants in over 160 countries and has won the SA Interactive Media Excellence Award and the Best Wine Educator award from Wine Communicators of Australia. Comprising interactive media and e-learning resources delivered online, World of Wine: From Grape to Glass is completely free with no prerequisites. The latest six-week course takes just 2-3 hours per week of your time and the latest version started this week – so there is still time to register. This entry was posted in News, School of Agriculture, Food & Wine, Uncategorized. Bookmark the permalink.